Two more days till Christmas. More than anything else, I'm happy to be spending this Christmas with my little family this year. 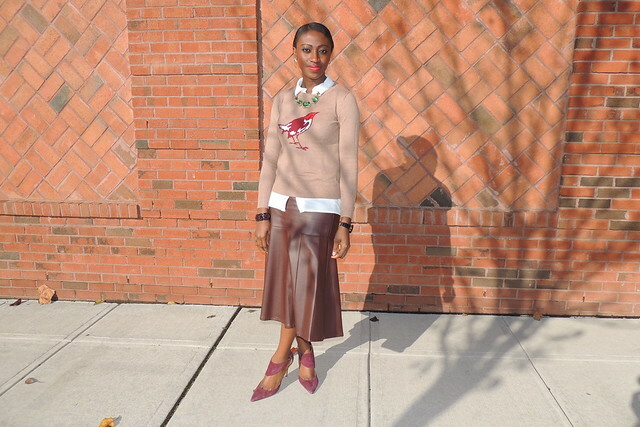 Today's outfit features an old new pieces in my closet. 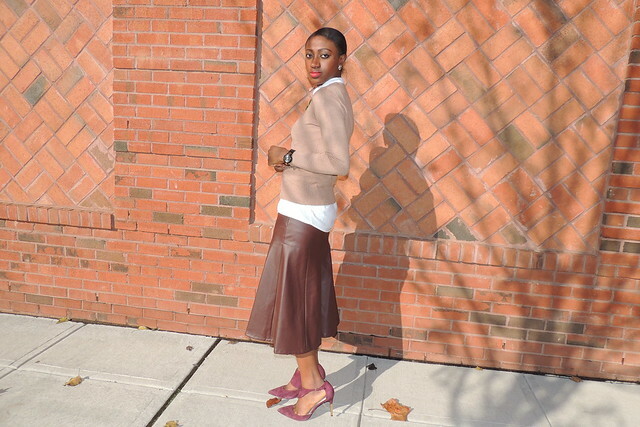 I've had this skirt for months now and just getting around to wearing it. 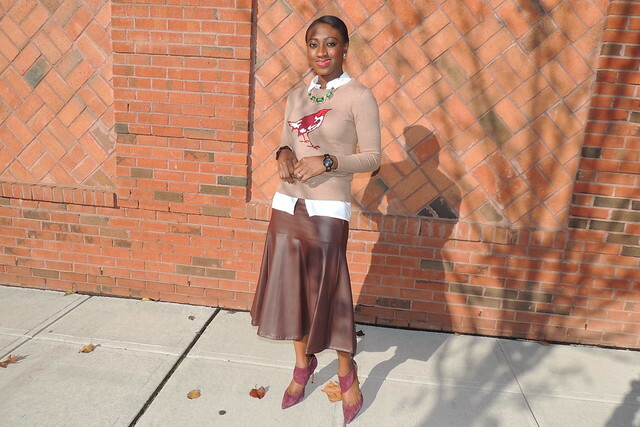 The rich brown color is perfect for fall, so I styled a fall appropriate outfit around the skirt. 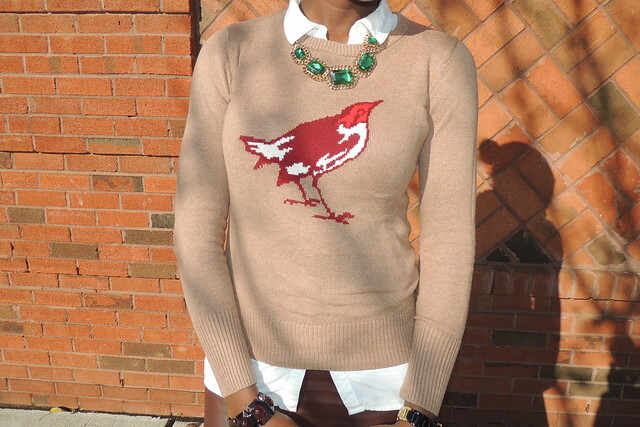 This sweater is one of my favorite sweater purchased from Target last year. Added a white button up shirt for a clean look. While I considered tucking in the shirt, I like the relaxed look leaving it tucked out gives. 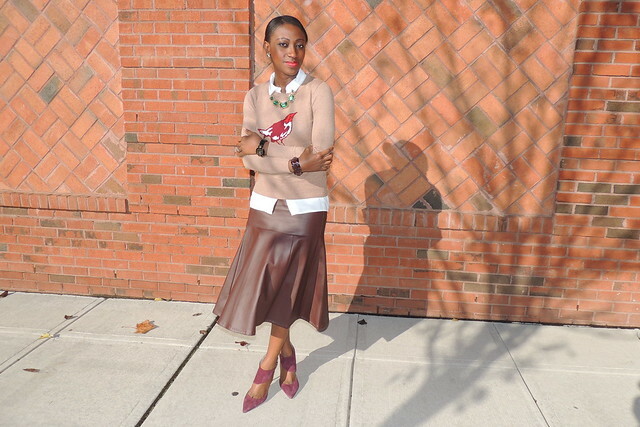 Added my burgundy heels to compliment the color tones and an emerald green necklace for contrast.